A few weeks ago, I posted to Instagram that I was asked to be a part of Walkers Shortbread Society… which means, shortbread all day, err day. Seriously, when this month’s shipment arrived, I opened the box and it was more shortbread than I could ever imagine! So many cookies, so little time, right? 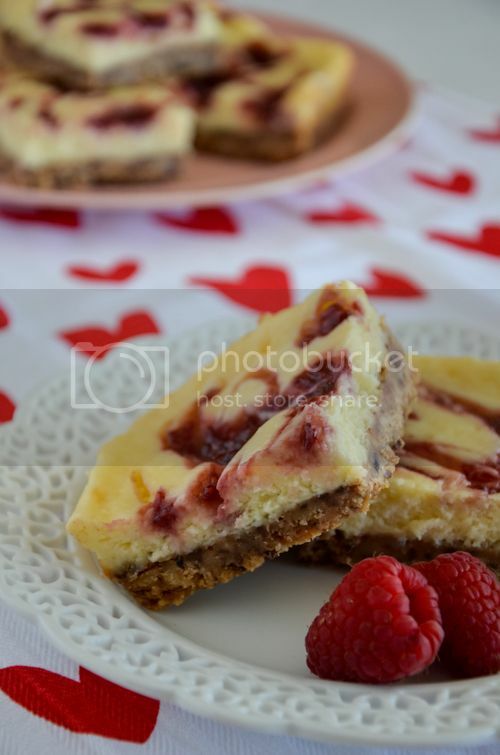 Since Chris’ work schedule is taking him away from us on Valentine’s Day, we’re celebrating a little early this weekend and these Raspberry Cheesecake Shortbread Bars are the perfect treat to do just that. He loves cheesecake and there will be plenty left over for him to take and enjoy during those late-night breaks. Using Walkers Chocolate & Raspberry Shortbread, the base is a combination of scrumptious raspberry shortbread and a touch of rich dark chocolate. 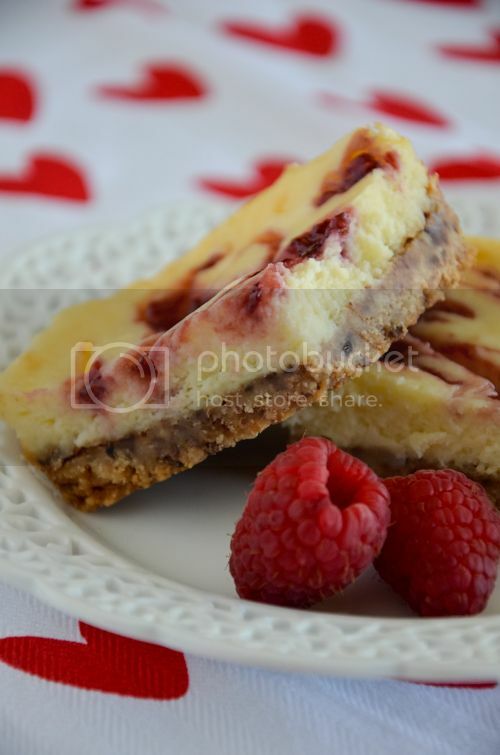 The cheesecake on top is smooth and the raspberry jam gives just the right amount of tartness. Perfect for my Valentine and yours! Preheat the oven to 350 degrees F and line an 8"x8" pan with tin foil, lightly sprayed with non-stick spray. Place cookies in a food processor and blend until crushed into small crumbs. Add the melted butter and blend until just combined. Transfer mixture to the prepared pan and press into an even layer. Bake for approximately 7 to 10 minutes, making sure not to burn. Cool for 10 minutes before adding cheesecake layer. In the bowl of a stand mixer using the paddle attachment, combine the cream cheese, sugar, vanilla extract and egg, beating well. When the shortbread base is cool enough, pour cheesecake filling into pan. 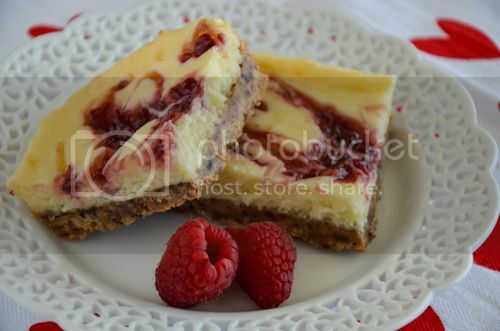 Spoon raspberry jam over the cheesecake and with a toothpick or spoon tip, carefully swirl jam into the top of the filling, making sure not to disturb the crust. Return pan to oven and bake an additional 15 to 20 minutes, or until filling is set. Cool for 30 minutes, then refrigerate for an additional hour. Cut into bars for serving; refrigerate any remaining bars. Disclosure: I am honored to be a member of the Walkers Shortbread Society. Compensation was provided in the form of product by Walkers; however, the photography & opinions expressed herein are solely those of the author.